Mathieu was designing his first websites when he was still at high school. He got into entrepreneurship during university, when he created a social network for amateur golfers, and a professional platform for the audiovisual sector alongside his studies. 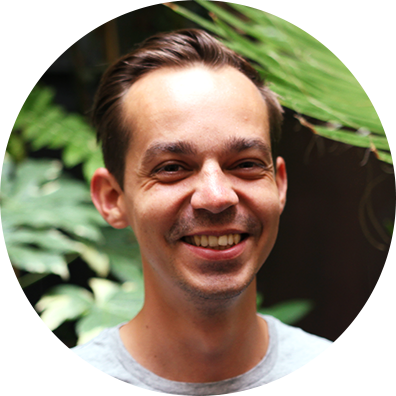 Mathieu is drawn by Design Thinking philosophy, and his passion is to unleash creativity in companies by running participative workshops. Mathieu is really into robots and techno; he’s well-versed in futurology and has one foot in the future. On a quiet day, you’ll find him gazing at pictures of space.